Thread Inner Diameter: 6mm/ 0.24inches? Head Inner Diameter: 8mm/ 0.31inches? Outer Knurling Size: 8 x 9mm/ 0.28 x 0.35inches(L*D)? Rivet nut fit for all kinds of sheet metal, pipes, and other areas of the manufacturing industrial fastening. Currently it is widely used in the assembly of automotive, aviation, railway, refrigeration, elevators, switches, instruments, furniture, decoration and electrical and light industrial products. 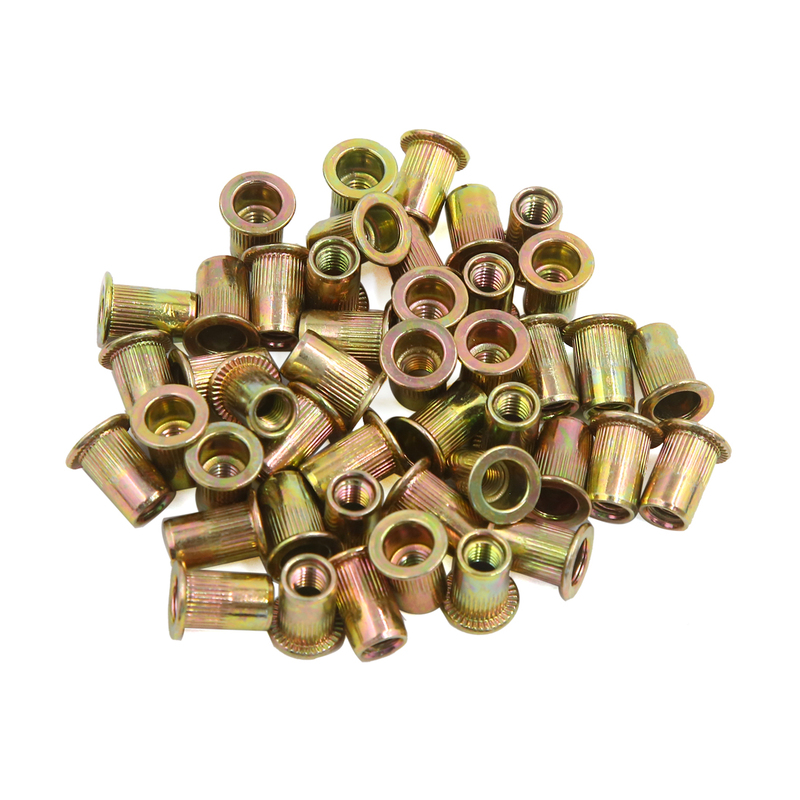 Do not?need welding nut, riveting firm with high efficiency, easy to use.